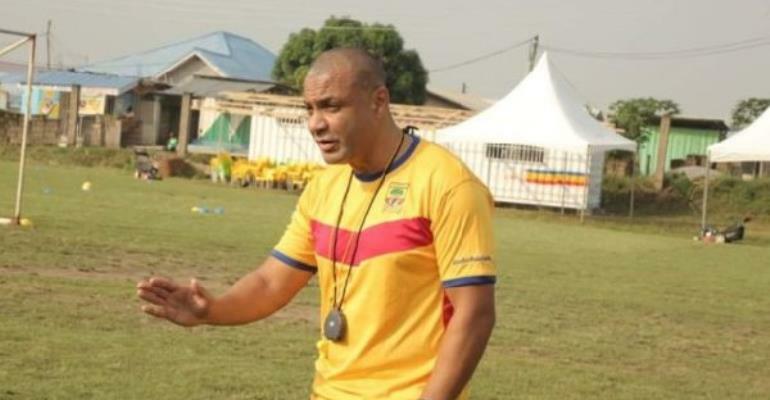 Head coach of Accra Hearts of Oak, Kim Grant has hailed his players despite their 1:0 lose to Elmina Sharks in matchday two of the GFA Special Competition. After beating Dreams FC on matchday one, the Phobians were hoping to capitalize on their victory but lost to the Elmina based side on Wednesday afternoon. However, the former Ghanaian international fumed over his side's wastefulness in front of goal but disclosed he was pleased by the overall output of the players. “We lost that is what I can say. We played well in the second half. We started slowly in the first half. We created so many chances but we didn’t take our chances. “As I saw at the half time, if we are not careful and if we are not focused, they could score from the break. Which they scored from counter-attack. “Overall I was quite pleased with the performance, they defended very well. They have done well. “My players gave me everything I can’t ask for more,” he told the media after the game. The Phobians will next travel to Anyinase to play Karela United in match day three of the competition.